This is written specifically for Singapore drivers heading up north to the North South Highway via the causeway. 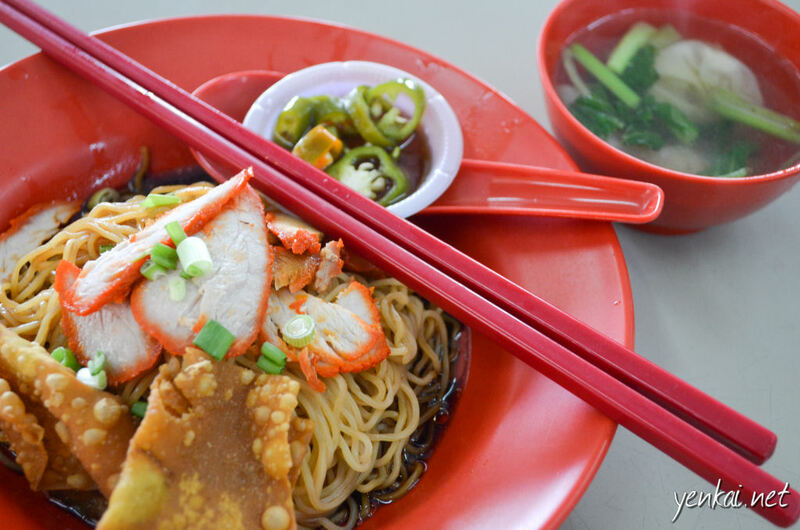 The focus is not so much on seeking out good food but on convenience – to have breakfast at locations near the entry points to the Eastern Dispersal Link (EDL) which is the most convenient way to get onto the North South Highway. The oldest parts of town is usually a good place to find food, and in JB this happens to be just beyond the causeway. 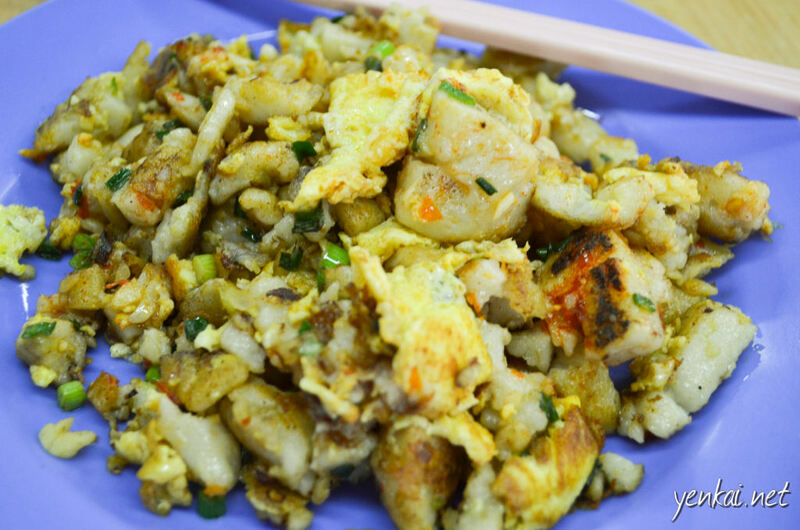 For years, my go-to kopitiam for breakfast had been Agape. 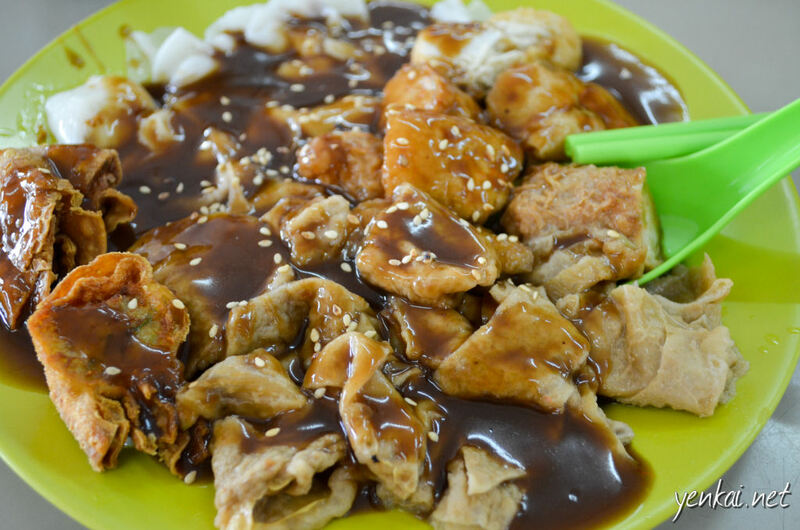 Here you will find delicious chicken rice (Sin Bee Hiang) and a stall selling the staple of JB – Kway Teow Kia. Both stalls are excellent. Agape is closed on Mondays, so i need alternatives in case i come on a Monday. 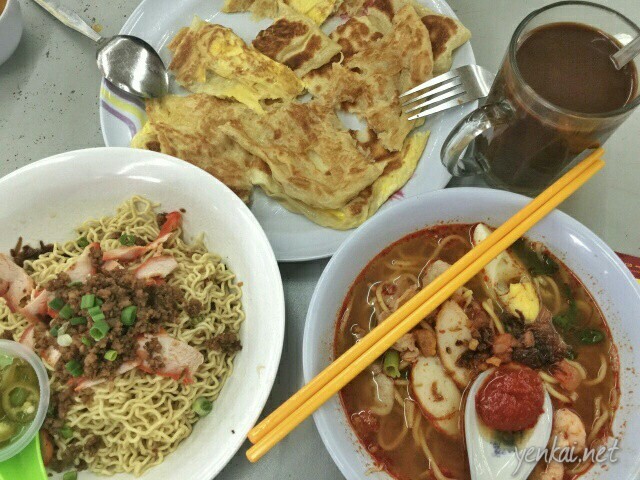 In Taman Pelangi, where Agape is located, there are quite a few eateries along Jalan Sri Pelangi, including Moonlight Cake House, if you’re in the mood for western or confectionery. 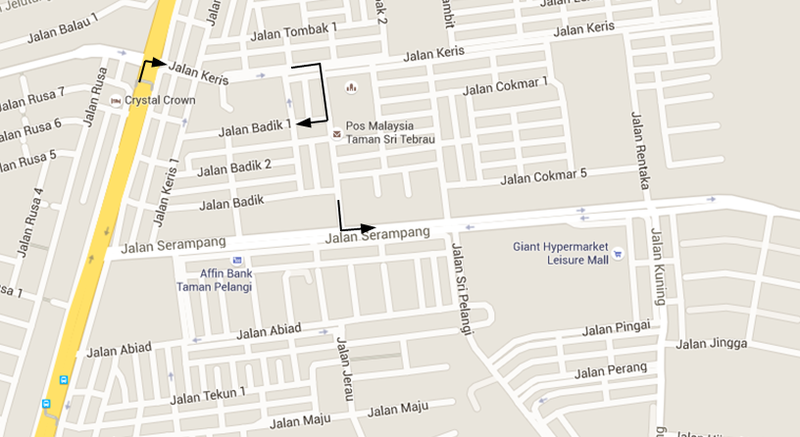 To get to Agape or Jalan Sri Pelangi, make a right turn into Jalan Kuning from Jalan Tebrau. 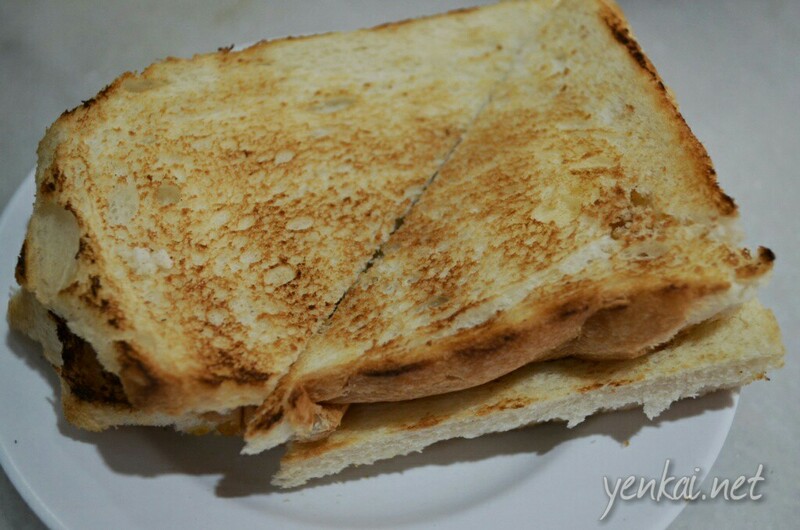 After breakfast, to get onto EDL, continue along Jalan Kuning and turn right into Jalan Serampang. If you travel further down Jalan Tebrau, you will hit Taman Sentosa. 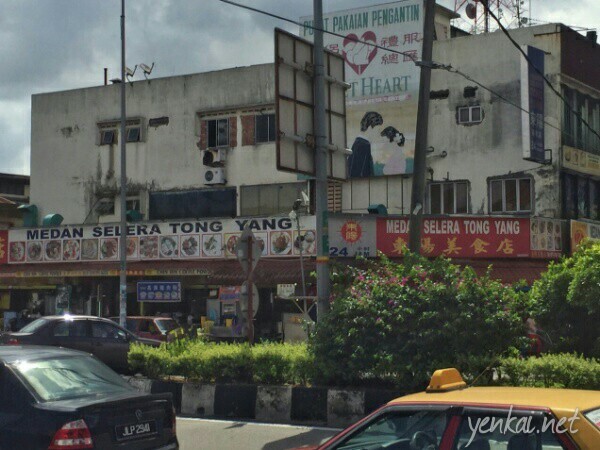 Turn right into Jalan Sutera and you will find two coffee shops, New Star and Tong Yang that I think are worth trying. It’s not that they have exceptional food, but they have variety. As with opting for convenience, i would go for having more variety over going to a shop that sells only one type of food, however notorious it may be. I think this is especially so if you’re travelling with a large group of people. Everyone can have have their own choice of food. I prefer the food from Tong Yang, though the seating arrangement there is strange and not quite cozy. There is a Maxis shop (not just a reseller shop) in the same row of shops as New Star, on the far end from Jalan Tebrau. You can come here if you have enquiries relating to your Hotlink prepaid mobile. Otherwise, if you’re just looking to buy the SIM card, there are many reseller shops in this area as well that can also satisfy your need. 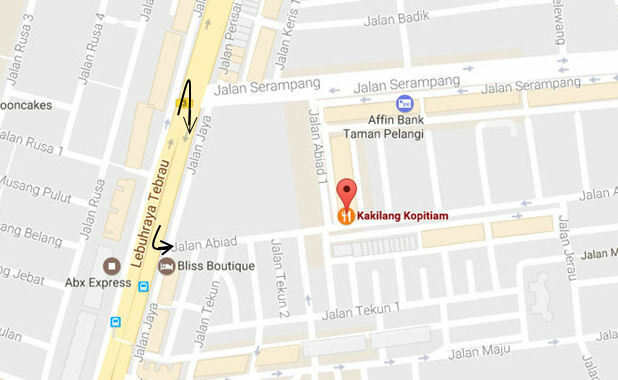 To get back onto the EDL, you’ll have to loop around Plaza Sentosa to get back onto Jalan Tebrau, then turn right at the very next junction into Jalan Bakar Batu (see map above). 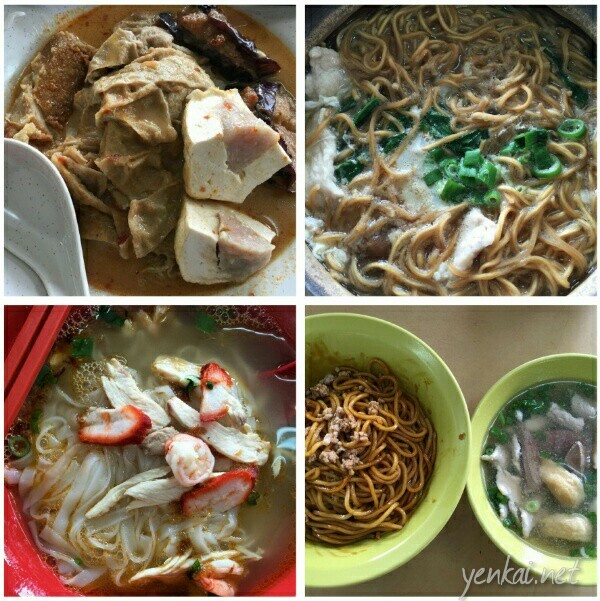 This time, we went to the Taman Sri Tebrau area, which has quite a few eateries. I chose Tyson for variety. It is easily accessible by turning into Jalan Keris from Jalan Tebrau. 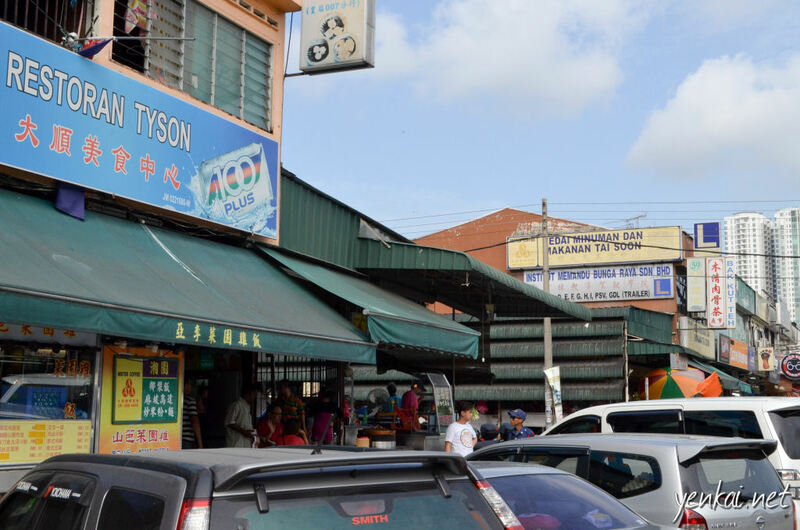 Restoran Tyson at Jalan Badik 1. To get onto EDL, go towards Jalan Serampang, and EDL is at the very end. Tyson and Tai Soon. Coupon parking is enforced here and you can get the parking coupon at the Indian grocery shop across the road. Steamed Bee Hoon with fish, a unique proposition not found in Singapore. 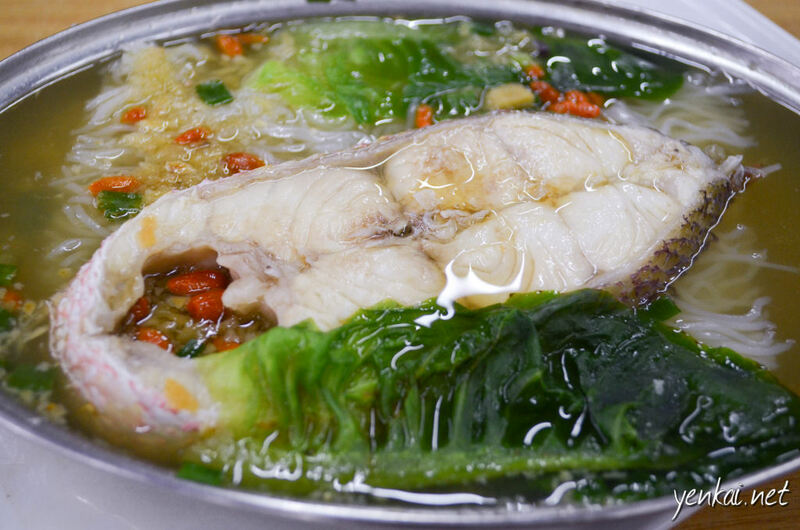 The fish broth was oh so rich, and the fish was steamed to perfection. Pricey (RM15) by Malaysian standard but worth every penny. 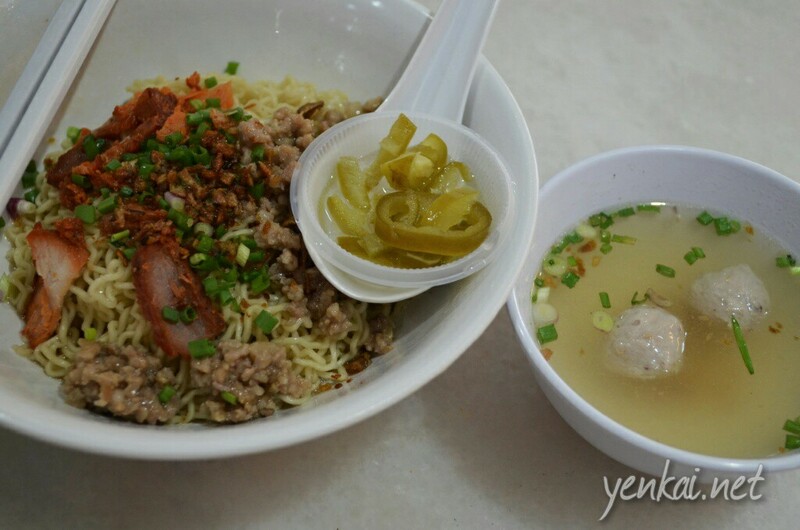 The steamed Bee Hoon is certainly worth going back for, and Kopi was not bad. Overall, this was a very nice Kopitiam for breakfast! 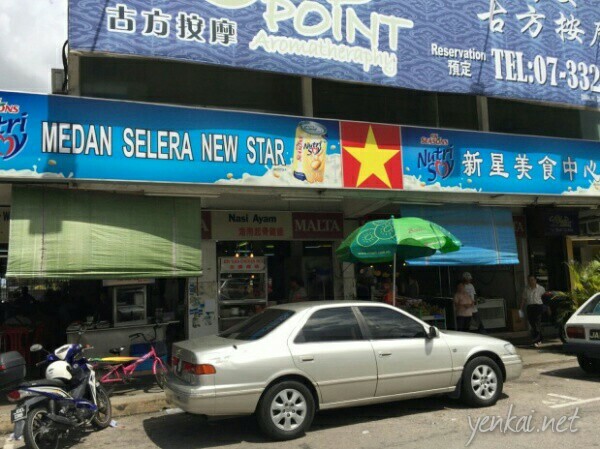 Starfood Corner is a popular kopitiam along Jalan Sri Pelangi (see top map). 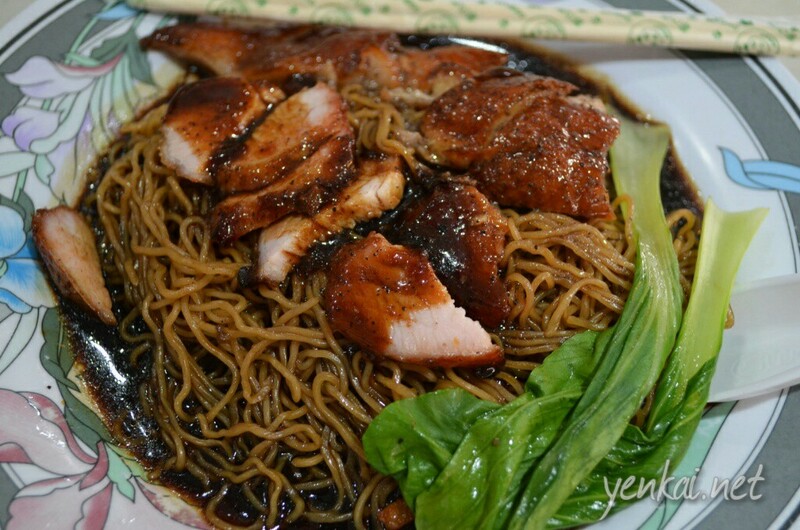 This kopitiam is noted for the stall selling Kolo Mee, but they do have quite a few other stalls as well. Nice ambiance too. 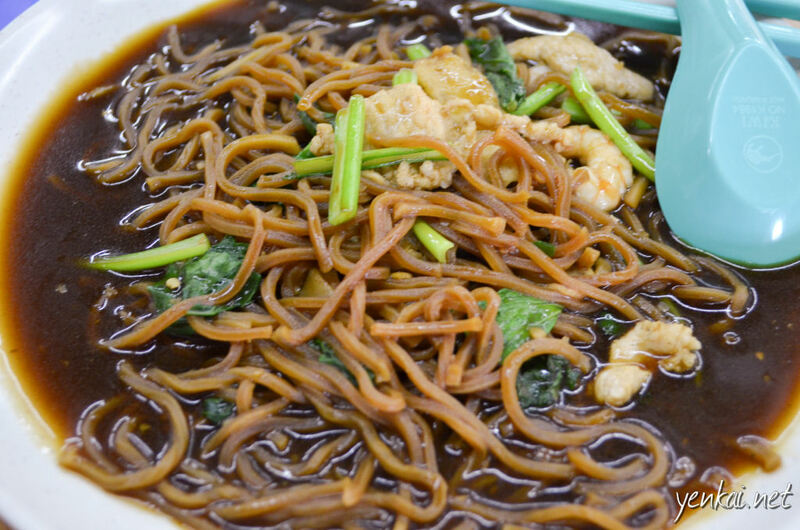 Kakilang is another Kopitiam that is within easy access from along Jalan Tebrau. 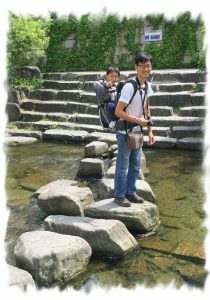 It has spacious seating and looks well organized. Make a U turn at the Jalan Serampang junction, then turn into Jalan Abiad. There is a road divider that prevents you from going towards the EDL via Jalan Serampang, so you should go back onto Jalan Tebrau and make a turn onto Jalan Batu Bakar, just slightly further down. 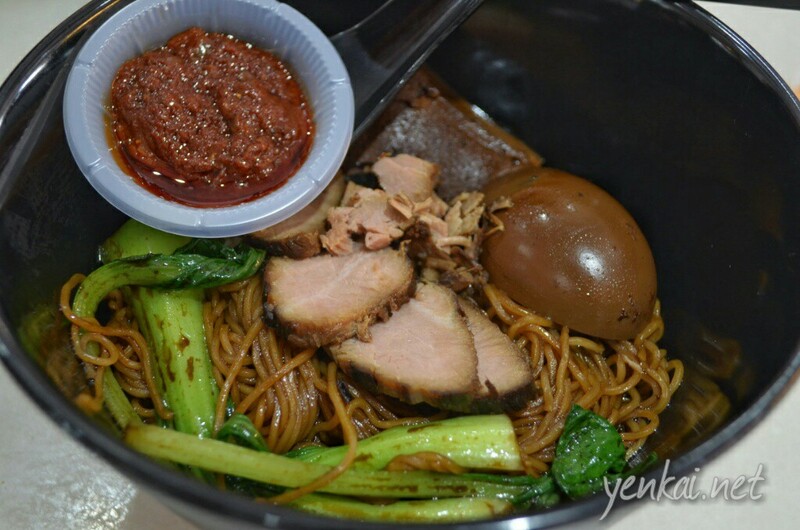 This is the first time i see pig liver and fish cake served in Kolo mee *palm face*. Overall, it was quite bland, but that also means there’s minimal use of MSG. 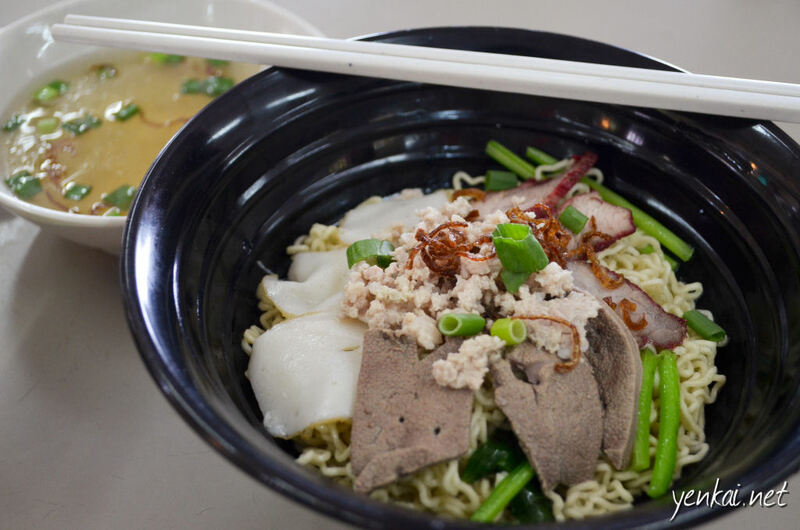 Wanton noodles. The sauce tasted like it was made with rich broth, quite interesting in comparison to the typical dark sauce. The noodles was a little soggy, but overall, it was satisfying. Chee Cheong Fun. The sauce was a tad too sweet. Overall, nothing special. 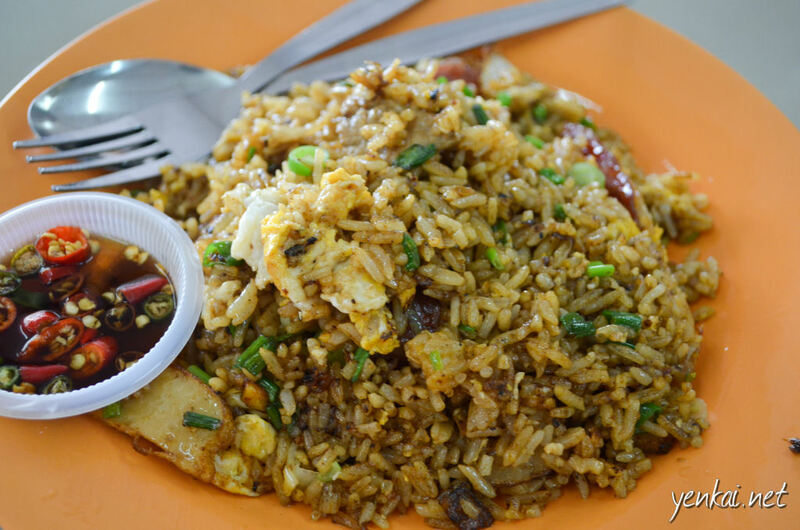 Fried rice from the stall that does, specifically, fried rice and Char Kway Teow. Nice Wok Hei.